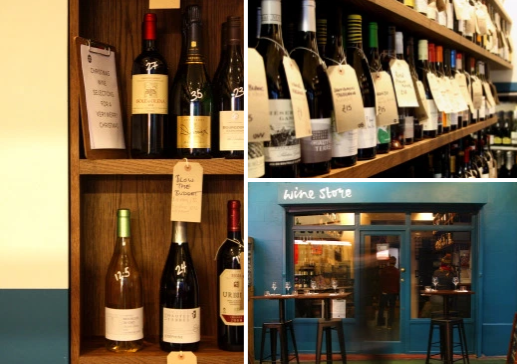 Our commercial painting and decorating team worked on the fit-out of the Salon Wine Store, in Brixton, in late 2017. The wine shop at this site was previously run under different management, and closed down in 2017. Salon - noted proponents of Modern British cooking at their restaurant next door - welcomed the opportunity to take the store under their wing. We tied in the interior and exterior of the wine store to match the existing decor in restaurant, and applied a two-pack epoxy paint to the floor, which allowed the existing surface to be retained. The site is a small one, but the Salon team have succeeded in stocking an interesting and surprisingly large number of wines. Check out their free tastings on Saturday afternoons. "Couldn't recommend Graeme and his team more. A really smooth project with a great finish. Clear and efficient communication was a dream from the start to finish. We got exactly what we expected and the price we were quoted. Super friendly teams working on site and very clean."